With the rack in the middle position, preheat the oven to 180 °C (350 °F). Line 12 muffin cups with paper liners. Stir 250 ml (1 cup) of the chocolate chips (or more, to taste) into the cupcake batter. Spoon the batter into the cups. Bake for about 25 minutes or until a toothpick inserted in the centre of the cake comes out clean. Let cool. 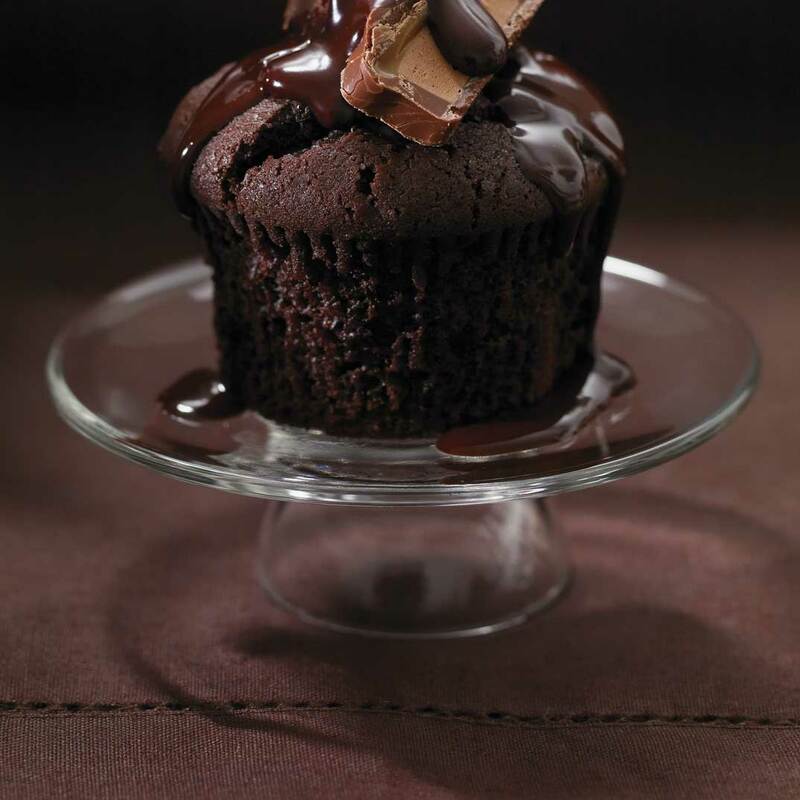 Frost the cupcakes with the ganache. 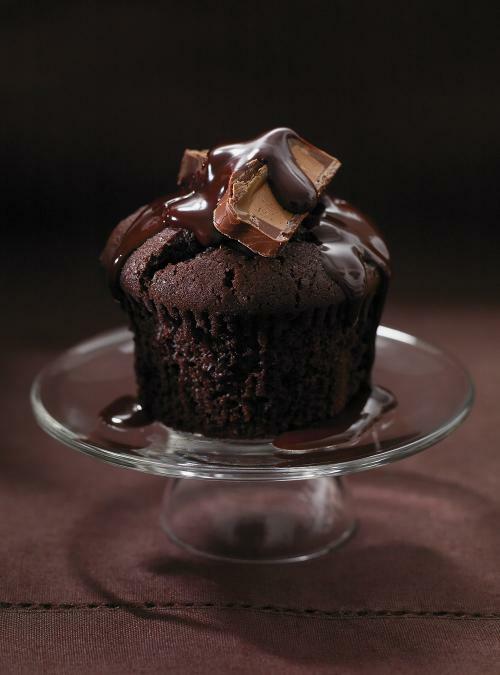 You can slightly melt the ganache in the microwave oven to serve as a sauce, as in the picture. Garnish with the remaining chocolate chips or a piece of chocolate. You can use the chocolate of your choice (white, milk or dark). You can replace the chocolate chips with SKOR bar pieces, M & M or Oreo cookies pieces (then garnish with a cookie half inserted into the ganache).